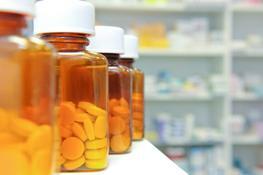 Sales of prescription drugs have reached an all-time high. Large pharmaceutical companies have continued to develop new drugs for every imaginable illness. With the explosion of pharmaceutical advertising on television and the internet, pharmaceutical companies have flooded our lives with ads extolling the virtues of their new drugs. However, what they have failed to properly advise the public are the vast side effects many of these drugs have that are causing serious, if not fatal injuries to the general public. Coupled with recent reports of falsified safety studies, our society has the perfect mix for a disaster for the consumer, who diligently followed their doctor’s recommendations for the best medication to treat their illness or condition. The pharmaceutical industry has been putting their corporate profits – which is in the tens of billions of dollars every year – ahead of public safety. An experienced Atlanta Dangerous Drug Attorney can help victims of serious injuries caused by the side effects of certain drugs such as Yaz, Yasmin, and Ocella. An experienced attorney can evaluate claims on behalf of individuals throughout Georgia who were prescribed these drugs and have suffered serious side effects including blood clots, strokes, deep vein thrombosis, pulmonary embolism, heart attacks, gallbladder removal, kidney failure, pancreatic cancer or death. If you or a loved one has suffered a serious injury, or a loved one has died after using any of the above drugs or medical devices you may be entitled to financial compensation. In personal injury cases where individuals have been injured by potentially defective drugs or medical devices, it is important to act quickly to preserve evidence and investigate the injury. Further, you must file a lawsuit before the statute of limitations expires. If you delay filing your claim, and the statute of limitations expires, you may lose your rights to compensation.